The Solomon Islands are a lot closer than you think! Total privacy and a pristine environment is only a few hours away. Honiara receives direct flights from Brisbane. Honiara to Gizo is a one hour domestic flight and the scenery is absolutely stunning. 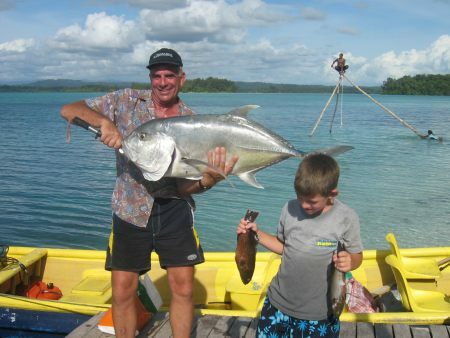 Our first package is Zipolo, for many reasons is referred to as the premier fishing resort in the Solomon Islands based in the Western Province. Zipolo Habu Resort is unique in the diversity of fishing, accessible either from the island itself or only minutes away, ranging from salt water fly & ultralight spinning for Trevallies, Bonefish, Milkfish & Coral Trout to casting poppers on the outer reefs for Giant Trevally & light/medium tackle trolling for Spanish Mackerel, Barracuda, Wahoo Yellowfin / Skipjack /Dogtooth Tuna, Mahi Mahi, Sailfish, Blue or Black Marlin. Jungle river fishing catches include Perch, Archerfish, Trevally, Sleepy Cod, Mangrove Jack and Spottail Bass. Our second package is at Fatboys Resort, located at Babanga Island, Gizo, Western Province. When you arrive at the Gizo Airport, The fatboys boat will be waiting to transfer you to the resort. The waters surrounding fatboys, provide world class game fishing and bottom fishing, but some guests prefer to wait for catch of the day to arrive while enjoying an ice cold beer. 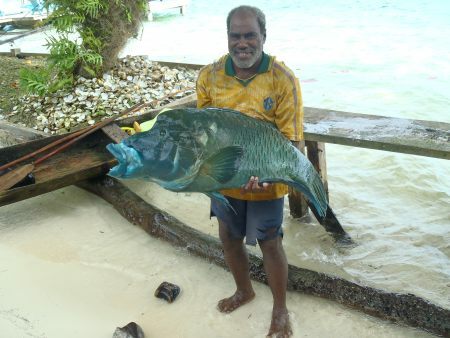 Bring all your fishing gear with you as there are no tackle shops in Gizo. Fatboys resort supplies long boats and a driver so you can focus on catching that prize fish and with excellent fishing grounds at your doorstep you will have tight lines in no time. The Solomon Islands are rich in history especially around the second world war and from this attracts a large number WW 11 buffs and their families. Scuba divers and surfers looking for un-crowded waves have found the Solomon Islands to be a great destination just as sport fisherman are beginning to do so. 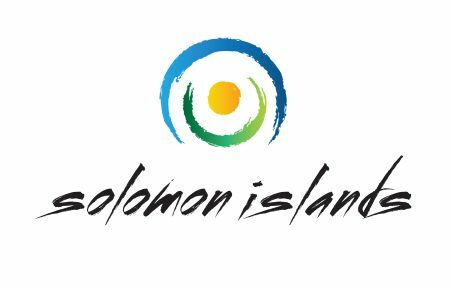 The Solomon’s have also opened up eco-lodges, boutique resort accommodations, and the major hotels so it is also now a destination to seriously think about taking that budget or full family holiday.